One of the most rewarding parts of my life has been my role as a military chaplain (padre). I hear from pastors who are considering joining the army but are not sure if they should. I would like to share why I think it is a good idea. For clarification, I can only speak from my perspective. That means that I am speaking about the Canadian military and even then, only about the reserves. For other contexts, please contact someone serving in that capacity. 1. There is a tremendous need. Many of the soldiers I have served with have done tours in Afghanistan. No one can go through something like that and not be changed. These soldiers need a Christian presence in their lives. 2. 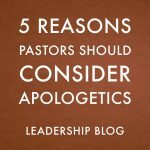 Pastors need to get out of the Church. Christians are nice but pastors need to be around real people. Serving in a military unit, you will be around people of every religious tradition and those of none. It is a great way to get out of the Christian ghetto. 3. Padres receive training that is useful in pastoral ministry. Pastors are often looking for ways to study but education is so expensive. In the military, not only is the training free, you actually get paid for it. Many of the courses you will take are just as applicable to local church ministry. 4. Padres benefit from experience. A pastor will be stretched in the military. Padres get pushed in the way they need to minister and this will help them to grow as pastors within their church. 5. Being in the military keeps you in shape. The military expects all of its members, including padres, to keep in good physical shape. Pastors are not known for being physically fit. The military will prevent you from getting lazy. 6. Being a padre is really fun. The activities you get to be involved in and the people you spend time with really make it worth it. There are things you can do in the military that you would never get to do in a church. It is an enjoyable experience. 7. This is not the most important, but it is an added income. There are pastors, especially those in smaller churches, who are not paid very well. The military pays relatively well and the added income can really help a pastor’s family. 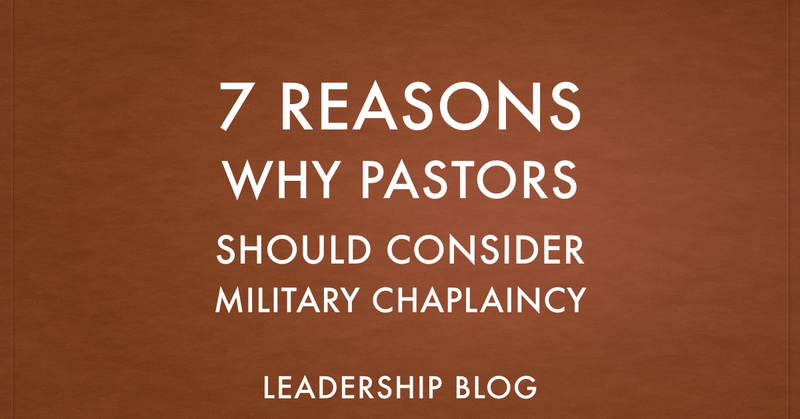 These are just some of the reasons that I think pastors should consider military chaplaincy. If you live in Canada, you can start by checking out this site. 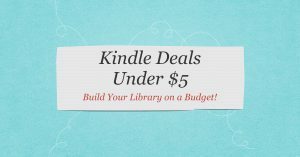 ← Is Self-Publishing a Bad Idea? I happened upon this post tonight. I am wondering if you have ever had the sense that participation in the military is inconsistent with Jesus’ way? Is it possible that our discipleship in Christ asks something different than that which the military asks of citizens? Good question. I do not feel that my role as a military chaplain is in any way inconsistent with Jesus’ way. I am not asked to do anything that goes against the Gospel. As for those in more combat roles, that is a more difficult question. My understanding is that Jesus did not address participation in the military. Being a Christian in the military should look different than being a non-Christian in the military, but I do not think that Christianity forbids participation in the military. One ingredient of Jesus’ way is that he related in communion with diverse people gathering them together for peaceful missions. Unlike the military, Jesus never recruited persons who reflected sameness. He never trained those he did gather to act against others who could be categorized as different. Neither did Jesus ever command disciples to fight, conquer, or kill others in any manner of protective or aggressive violence for the sake of their group. Do you not agree that in learning from Jesus disciples leave behind segregating identities, for example, nationalism? Is it possible you are diminishing Jesus’ way of relating in communion in favor of nationalism? I’m a South African pastor, who has thought about military chaplaincy at various occasions, I was once involved with a navy church. I hope you don’t mind me throwing my 2c in here. I think the reason you see the military being at odds with Jesus, is because you assume that the military exists to kill people. ‘Recruiting persons who reflected sameness, to act against others who are catergorized as different’, that might have been a way one could describe South Africa’s military under apartheid, and various other regimes that used the army to commit evil. But that is not the mandate of South Africa’s military today, nor of any modern democratic country. In the apartheid years, one did’nt really have a choice in joining the military, as there was national conscription. However there where many Christians that where a mitigating influence in the military, and I think were able to prevent some things from being far worse than they where. Today the military is most often used to defend, and protect the vulnerable. Most of our active forces are serving in peacekeeping missions all over Africa. A recent example, where our army was used domestically: A few months ago we had a spate of xenophobic violence, in which, foreigners where being targeted and killed by local South Africans in townships. The army was called in, to protect foreigners (many of them illegal immigrants). The policies of the government, or reasons for entering into conflict are not always absolutely perfect. But in general the way modern military’s operate, I would say it’s a noble profession for a Christian. Especially if I think about the life Jesus has called us to. If you think about it, the Roman Army was responsible for some atrocious things, yet there is no sense in the New Testament that military service was forbidden for Christians. On the contrary John the Baptist, teaches soldiers that he had baptized, how they should live as Christians in the military. Notice John does not say “Quit the military!”, he says “This is how Christians should live as a soldier”. You get much the same idea, with the Centurion who Jesus commends for his faith. Or the God-fearing centurion, Cornelius who converts to Christianity in the book of Acts. There is no expectation that they should stop being soldiers. But of course that Gospel should change the way in which they serve as soldiers. Thanks for making the connection. What if instead of being diverted to a personal assessment that I “assume that the military exists to kill people”, we accept objective facts. For example the U.S. Soldier’s Creed states: “I stand ready to deploy, engage, and destroy, the enemies of the United States of America.” The creed is derived from a portion of The Uniform Code of Military Justice. It warrants punishment for a soldier who: “willfully fails to do his utmost to encounter, engage, capture, or destroy any enemy troops, combatants, vessels, aircraft, or any other thing, which it is his duty so to encounter, engage, capture, or destroy.” We need to accept the reality that soldiers are trained by their nation’s military to obey orders to kill down the chain of command. You would agree, would you not, that this is an entirely antithetical mission than that which Jesus extends to disciples: “Heal the sick.” (Luke 9:1-2; 10:8-9) ? The mission we share with Jesus, to be a healing power and presence, is most especially to be practiced within conflict situations as that’s when Jesus practiced it. Jesus had the opportunity to defend and protect the vulnerable by using violence, specifically by killing people. He never did so. He was a creative healing power. Why have Christians turned away from Jesus’ healing mission to accept the military’s destructive one? If we do not follow his way in this regard how can we call ourselves his followers? How is it we are so influenced by the military so as to fight for empire while we remain ?willfully? ignorant of peacefully nurturing Jesus’ Kingdom of God, “on earth as it is in heaven”? Each situation needs to be evaluated separately, and the Christian needs to ask himself, whether he can with a clear conscience support the military actions of his country, or else if he is prepared to disobey orders and bare the consequences, should he be commanded to do something unethical and immoral. No doubt the Roman army committed many atrocities, but it’s a fact of history, that there where many followers of Jesus/Christians in the military. The Gospel’s show us that Jesus did’nt find an intrinsic problem with it. But there are also historical examples of Christians who where soldiers, and where executed for disobeying orders, when their orders came into conflict with their allegiance to Christ. You’ve quoted from a US military document, and what’s written there does concern me. I don’t know if I could support a military where atrocities where swept under the carpet like they where with the Bradley Manning revelations. Where torture is being used, and ‘suspected’ terrorists are executed by drones without being put on trial. But I would have less reservations about joining the South African military. It needs to be looked at case by case. You would agree that Christians need to stay centered on Jesus Christ. That’s what being Christian is all about. Christian means Christ-like and therefore must necessarily be a reflection of the life witness of Christ Jesus of Nazareth. If the word Christian, in other words, being Christ-like, is separated, even by degree, from Jesus Christ’s life witness it becomes meaningless. It becomes possible for people to have all kinds of ideas about Jesus, say anything really, and then simply adding the word Christian to it. If these individuals adding the word Christian are notable, i.e. Paul, Augustine, Luther, Calvin, it is more likely well-intentioned seekers are, perhaps degree, by degree, led astray. Thus, with all due respect, you use the word Christian above while your initial statements show you are rooted in and are relaying the concepts formulated by the previously mentioned notables. After you set forth those concepts you then conform Jesus to them. The word Paulist could be used for your ideas or Augustinian, Lutheran, or Calvin, but not Christ-ian. You then proceed to make statements about Christians/Christianity that show that separation, degree by degree, from Jesus Christ’s life witness – such as soldiering being Christian. Do you understand that without meaning to you have led me astray from Jesus’ life witness, which is where I was centered in my initial responses? I first wrote of Jesus gathering diverse people into communion beyond segregating identities such as nationalism. I then wrote of Jesus being a healing power and sharing that mission with disciples not a destructive mission. What if instead of starting with ideas formulated about Jesus we centered ourselves in Jesus’ life witness? From that center we could consider soldiering. Thus, when you read the Gospel of Jesus Christ, what does it show is Jesus’ life witness with soldiers? Margaret if you going to write off bits of scripture because it come from the mouth of Paul rather than Jesus, then I’m afraid we are never going to agree. My assumption in entering this discussion is that you accepted the Bible as inspired and therefore authoritative. To pit Jesus “life witness” against the writings of Paul is non-nonsensical, because the Gospel accounts are themselves writings of the Apostles. Of course Jesus was not calling people to military service, but it’s pretty clear that he was’nt calling them out of it either. The Gospel’s record that there where soldiers who where followers of Jesus, and there is not a hint anywhere that it was considered inappropriate either by Jesus or any of the Apostles. Thanks for keeping the conversation going. What if it’s not a question of writing off bits of Scripture or pitting anyone against anyone else but granting, if one claims to be Christian, that the life witness of Jesus Christ is primary or central? Making Jesus Christ equivalent to Moses, Peter, James, Paul or anyone else in the Bible diminishes his revelation. Is it the case that some Christians don’t believe Jesus has anything unique or inspired to reveal about God? Is Jesus just another in a long line of inspired voices or, worse so, is it the case that his life is unimportant because it’s his death that’s thought to serve a useful purpose? If that’s the case one might be called a Biblian or deathian but I don’t see how that perspective makes one Christ-ian/Christ-like? Can we take a closer look at your thought that it’s pretty clear that Jesus wasn’t calling anyone out of the military? Looking at Jesus’ witness, don’t you think one of his encounters with soldiers indicates that he was doing just exactly that? Thanks for the interesting discussion. Which encounter are you thinking about? I do think the words of Paul, Peter or Moses’ carry equal weight as the red letters in the Bible. That’s not to say Paul, Peter or Moses are on equal terms with Jesus. But that their biblical writings are in fact the word of Christ. That means, we have to consider what they say, and recognize that it’s perfectly consistent with what Jesus is doing and teaching in the Gospels. Because the Holy Spirit will not contradict himself, and He is the author of both. Your words seem to convey that it is indeed the Bible, in particular its consistency, that is of primary importance to you rather than Jesus’ life witness? 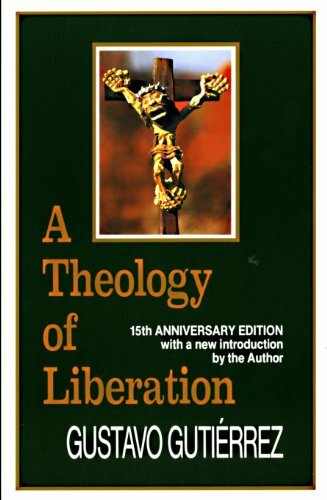 Again, that is OK, but such a perspective seems better reflected in the title Biblian rather than Christian. Centering ourselves on Jesus Christ’s witness it’s clear that he himself did not give primacy to Scriptural consistency. The clearest example of this is in Matthew Chapter 5 when Jesus repeatedly says, “You have heard it said … but I say unto you … – As to our conversation on soldiering verses 38-42 + 43-44 are most noteworthy (verses 38-42 address Old Testament claims that Moses or especially Yahweh could justifiably kill (i.e. Er, Onan, 1st born of Egyptians, … ) which is the “eye for an eye” teaching vs. Jesus never killing and teaching that truth to disciples – but I say unto you – do not return evil for evil: turn your cheek, offer coat too, go 2nd mile) + (verses 43-44 hate your enemy vs love your enemy). Jesus simply is not affirming Old Testament practices of killing/warmaking and is specifically establishing his Christ-like/Christian practice of peacemaking. There is clearly a difference between the two practices. The difference is most especially apparent in one of the encounters Jesus has with soldiers. I do not mean to drag this out by not identifying the encounter but I would suggest that the difficulty of defenders of the killing ethic to at least identify but also analyze the encounter is evidence of Christianity being diverted from Christ, becoming un-Christ-like. Would you please take another look at the Gospel for the encounter Jesus has with soldiers that indicates he was indeed calling them out of the military?